Scope: This project was the first 2 way protected bike lane construction in the city and was made more complicated as it was 2 ways of bicycle traffic on a 1 way road. To permit the new protected cycling lanes the road, curbs and sidewalks had to be modified to shift the vehicle traffic to the south side to make room for the new median island and cycling lanes. The median was built to separate the cycle traffic from the vehicles and to permit bike racks and bus stops. All of the traffic signals at each intersection were upgraded to include signals for the bicycle traffic. The project started in September 2016 and was completed on time in May 2017. 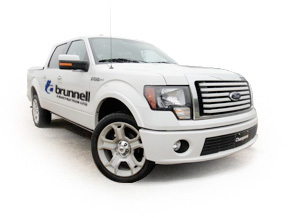 Brunnell Construction expertise includes site servicing, subdivision construction, utilities and road construction. Details of some of our projects can be seen in the categories listed below. Experience in Civil Construction since 2004. © 2019 Brunnell Construction Ltd.. All rights reserved. Website design by Reddingstone Industrial Brands.